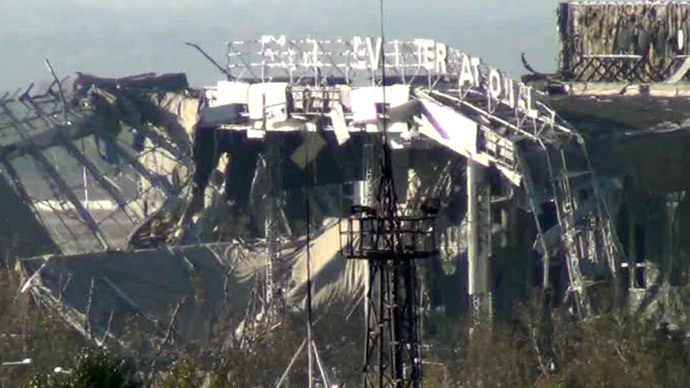 The announcement by the Donetsk authorities that an agreement has been reached on the ceasefire at the Donetsk Airport to start on Tuesday evening still hasn’t been confirmed by the Ukrainian side, with fighting still heard in the area. 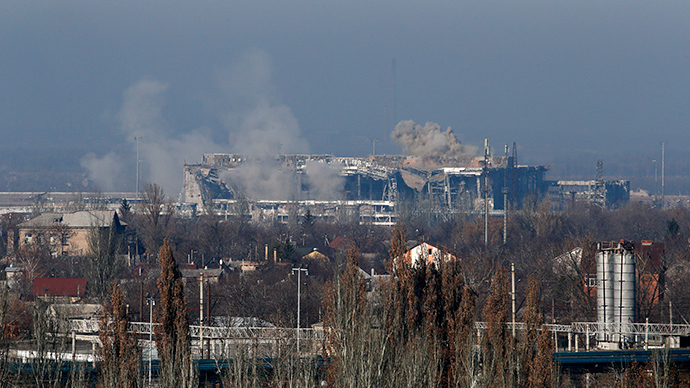 During the meeting of the contract group, it was decided that the ceasefire the Donetsk airport will be implemented from 18:00 MSK (15:00 GMT) on Tuesday, Andrey Purgin, the speaker of the Donetsk People’s Republic parliament said. The contract group, involving representatives of Donetsk, Kiev and OSCE, gathers every week to find ways to stop the fighting and return to the implementation of the Minsk agreements, “but today the level of the meeting was higher,” he said Tuesday. Purgin stressed that no documents were signed by the sides, with the airport ceasefire being only a handshake agreement. "If we keep up this pace, then maybe on December 9 or 10 we’ll be able to start the withdrawal of heavy weaponry,” the speaker added. According to OSCE monitors, who were also part of the contract group, Donetsk and Kiev earlier agreed that the ceasefire at the airport will start on December 5 and the withdrawal of heavy weaponry – on December 6. 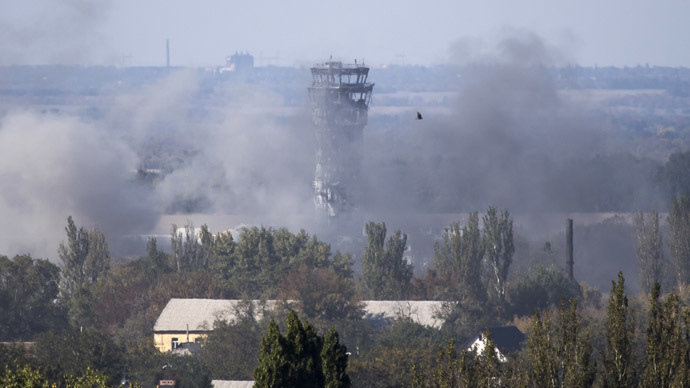 However, Ukraine’s National Security Council “has no information on any ceasefire reached at the Donetsk airport,” spokesman Andrey Lysenko said. He only confirmed that the talks between the sides began on Monday, adding that he hopes for them to bring “positive results” on Tuesday. 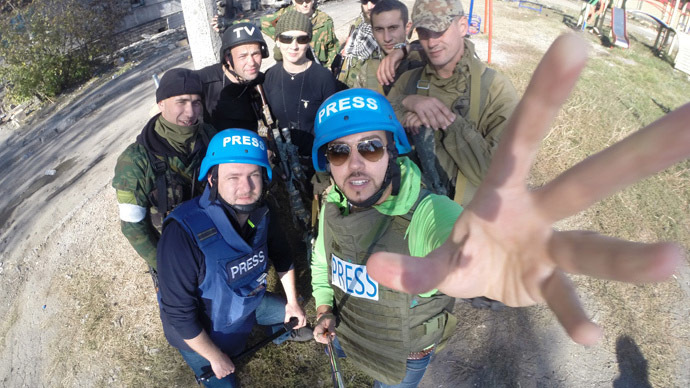 The same goes for the Russian Ministry of Foreign Affairs, with spokesman Aleksandr Lukashevich stressing that Moscow has no official confirmation that the truce has been agreed in the Donetsk airport area. 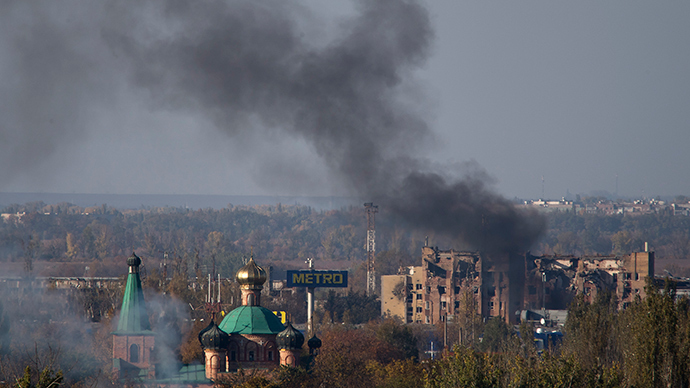 But even if it was reached, the airport ceasefire was violated in less than hour, the militias told Interfax news agency. “According to our information, armed clashes continue in airport area. 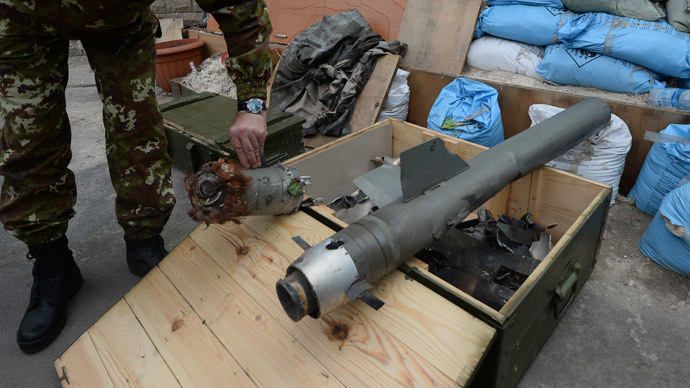 There’s also reports of shelling by the Ukrainian military,” said the staff of the self-defense forces of the Donetsk People’s Republic. 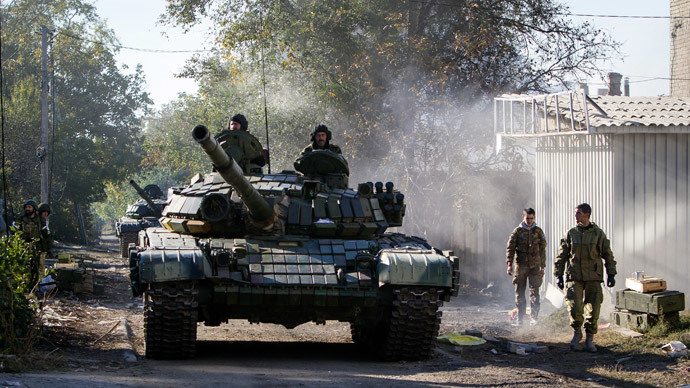 Ukraine has been engulfed in internal conflict since April, when Kiev’s army began its crackdown on the south eastern regions of Donetsk and Lugansk after they refused to recognize the country’s coup-imposed authorities. The United Nations estimates that the death toll in the Ukrainian conflict has exceeded 4,300 people, with around 10,000 others wounded. The warring sides agreed to a ceasefire during talks in Minsk, Belarus, on September 5, but both sides have blamed the other for violations. Donetsk Airport became the scene of heavy battles between self-defense forces and the Ukrainian military, leading to dozens of fatalities. The airport, which had an annual capacity of over a million passengers in 2013, has suffered severe damage in the conflict, with the main terminal building and the control tower lying in ruins.